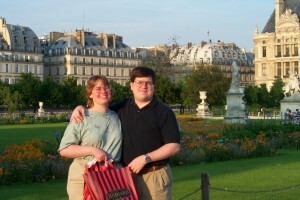 Holly and I traveled to Paris with my parents in May 2000. In addition to Paris itself, we also visited Giverny and Versailles. It would be hard to improve on this trip: we had great weather, saw some beautiful places, and ate some wonderful food!